It's serendipitous that at the beginning of July, the UNDP, in collaboration with the EU and the Lao Ministry of Labor and Social Welfare, ran a training on Post Disaster Needs Assessment (PDNA) as part of its capacity building program to strengthen resilience to disasters and to ensure proper recovery efforts. The timing and the information in that week long course could not have been more on point, as fast forward to July 24, when the dam in Attapeu collapsed causing a massive flood that affected thousands of people, putting the new training into good use. The UN's many different sub-organizations that operate in Laos went on to provide their support and coordination, as well as, donation of money and supplies towards the relief efforts. 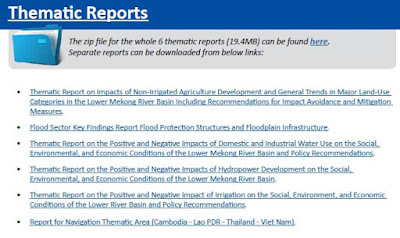 Back in January 2013, the iNGO International Rivers raised concerns about the affects on the population prior to the construction of the Xe Pian-Xe Namnoy Dam. Tania Lee who worked for the organization visited villagers who had been displaced and relocated due to the dam's planned construction. During that time, their organization became a voice for those villagers. The organization even sent a letter to all those involved with the dam including Xe-Pian Xe-Namnoy Power Company (PNPC), SK E&C, Ratchaburi Electricity, TEAM GROUP of Companies, and the Asian Development Bank (ADB). In the letter, they ask specifically what were the timelines and what was planned for impact assessments, contingencies, compensation and support to affected villages. Again, fast forward to the incident of July 24 and the concerns of International Rivers from 5 years earlier has never been so accurate and applicable - this time to a new set of affected villages. In the end, the dam has been the cause of two large displacements of people - both prior to its construction and after, as illustrated by its collapse. The Mekong River Commission has often raised concerns about specific dams being built in Southeast Asia, including those in Laos. Earlier this year, they released a massive report entitled "The Council Report". 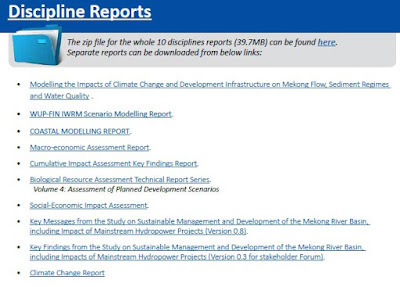 Within it are collection of reports on a variety of related themes and disciplines. 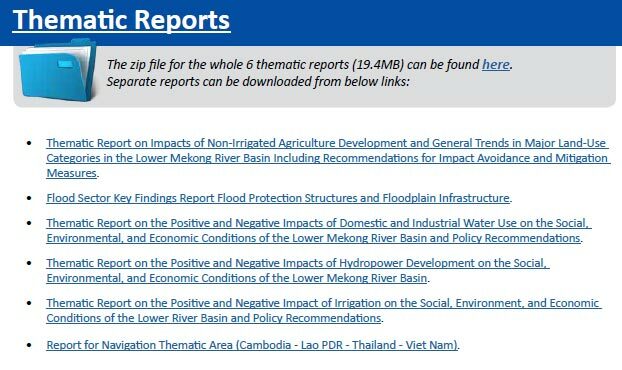 Although, it wasn't specifically focused on Laos alone, it was, in their words, a "...study on the sustainable development and management of the Mekong River Basin, including impacts by mainstream hydropower projects". With recent events in mind, the importance of this document cannot be understated. 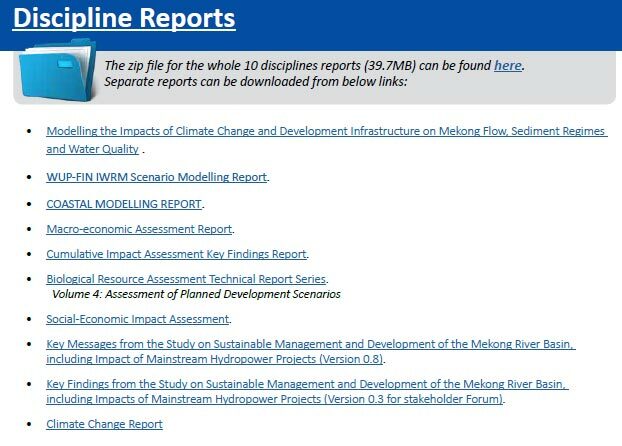 The sections on sustainable management, understanding both the negative and positive impacts of dams, and the assessments on the affects to the environment, sediment and water quality, macro-economic environment, biological resources, and socio-economics are important points that are definitely worth revisiting. It's worth noting that as recent as last year, on September 11, there was another flood caused by a collapsed dam. That incident occurred in Xaysomboun province where the reservoir of the Nam Ao Dam burst after a heavy rainfall. Many of you may remember seeing the Youtube video that went viral showing staff and construction crew running away from the coming onslaught and cars being swept away. The video received widespread news coverage.